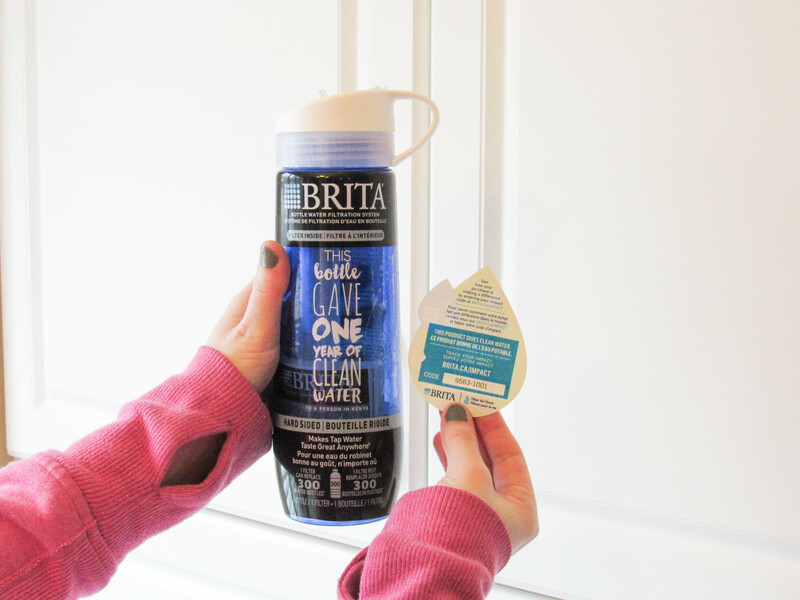 Stand Up for Clean Water with Brita Canada & ME to WE! Could you ever imagine living your life without clean water? I can’t. I think so many of us take something like that for granted. We need to be very thankful everyday for all things we have, because a lot of people in this world aren’t so lucky. World Water Day is on March 22 and Brita Canada has partnered this year again with WE on a sustainable change initiative. WE is a movement that brings people together, and gives them the tools to change the world. This amazing campaign supports a series of water wells in Irkaat, Kenya that will provide 1,800 people in the community access to clean water. So, I am very proud and happy to support this program. Every purchase of a Brita ME to WE statement bottle, or specially-marked product will provide a year’s supply of clean water to a person in Irkaat, Kenya. Isn’t that amazing?! Doesn’t that make you want to run out now and purchase a Brita product to help someone in need?! 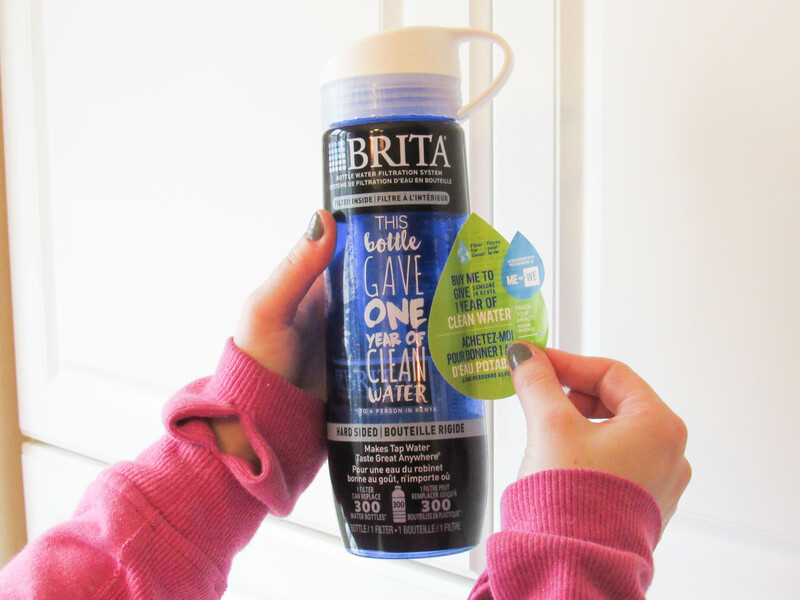 Another thing I love about this campaign is that each ME to WE specially- marked Brita product comes with a Track Your Impact Code, so you can see how your purchase made a difference. 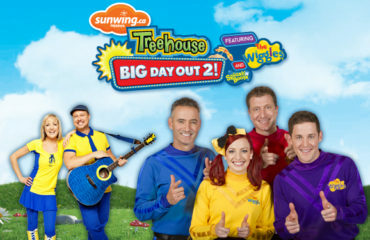 All you have to do is go online and enter the unique code to find out all the details. Since January, I have been working out pretty much 6 days a week to get my body back into shape. 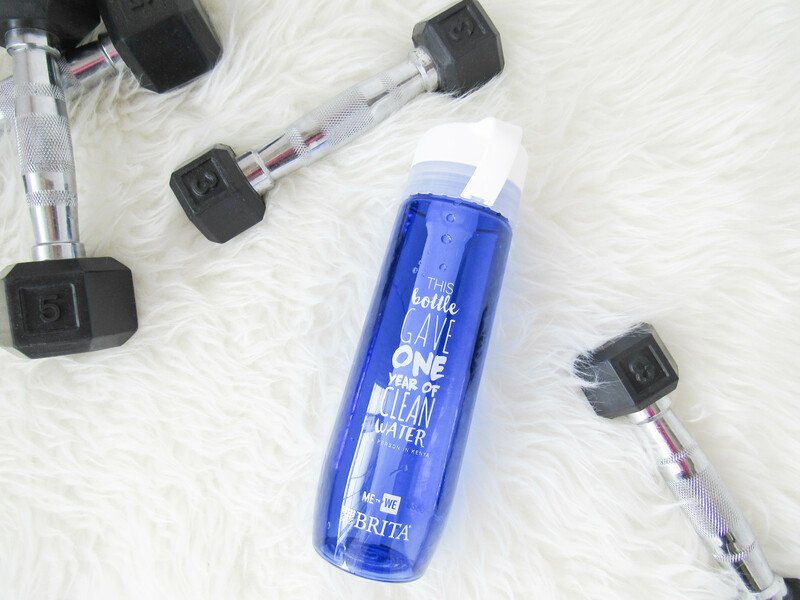 Keeping hydrated when working out is very important, so that’s why I use Brita filtered water not just during my workouts, but throughout my day. I not only have a Brita filtered water bottle, but we also have a Brita filtered water pitcher in our fridge at home as well. We really try not to use plastic water bottles as much as possible as a lot of them end up in landfills. 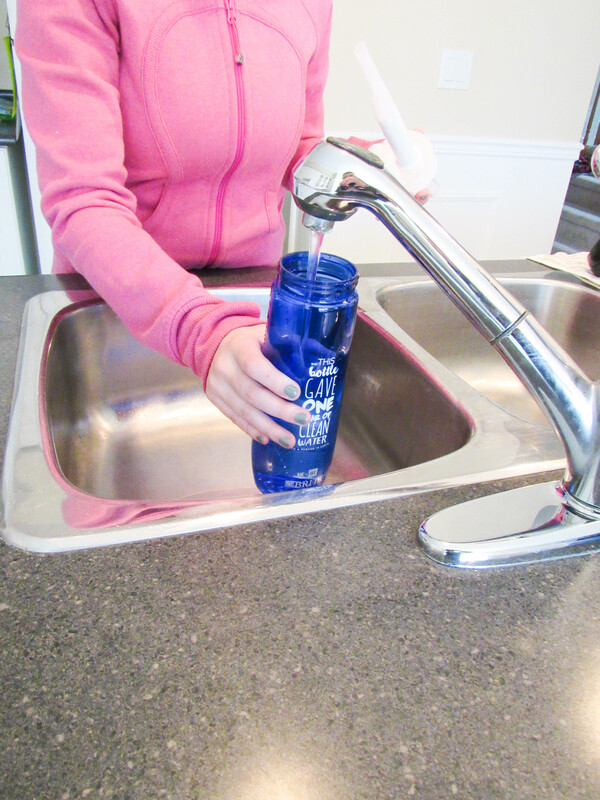 Plus, it saves us so much money by using Brita filtered water! 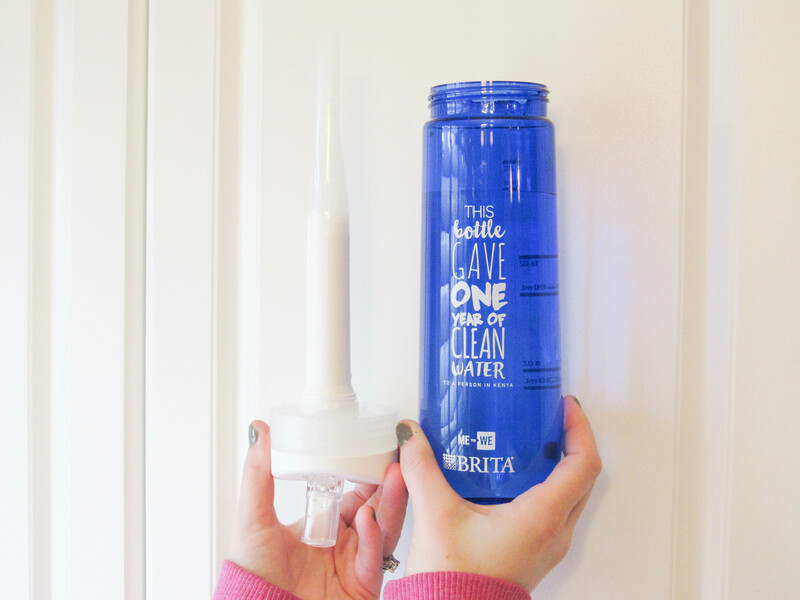 Just by using ONE Brita Bottle filter can replace up to 300 plastic water bottles, because the filter only needs to be changed approx. every 2 months. So please, show your support and purchase a specially-marked Brita product today. Help make a difference. The ME to WE Brita statement bottle-to-go is now available for purchase for only $19.99. 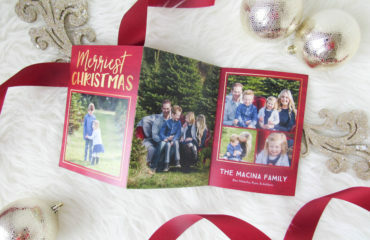 You can find it at Wal-Mart, Real Canadian Superstore, Real Atlantic Superstore, Loblaws, and Zehrs locations. Show us on social media how you’re taking a stand for clean water. Share your pictures using #WorldWaterDay and tag @BritaCA & @wemovement! Disclaimer: This post is in partnership with Brita, but all opinions are my own.